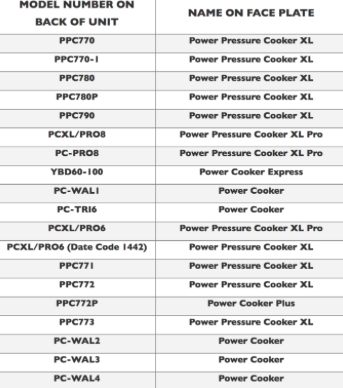 The Power Pressure Cooker Settlement class action lawsuit claims that certain models of Tri-Star pressure cookers posed unreasonable dangers for anyone who used them. Class members state some of the cookers suddenly released hot steam when the lid was removed and some of the cookers lids did not stay in place. Tristar Products Inc. denies any actions of wrong doing but have agreed to settle in order to avoid further litigation. Any questions in regards to the Power Pressure Cooker Settlement can be directed to toll free 844-271-4784 or by mail: Power Pressure Cooker Settlement, c/o Heffler Claims Group, P.O. Box 58580, Philadelphia, PA 19102-8580.